My newest and favorite birthday tradition is that my wife buys me a fountain pen every year. She has done this since we have been married. We have been married five years. I use fountain pens to illustrate most of my books and I LOVE them. So I now have some great pens and always look forward to my birthday present from her. I had this funny feeling that Steve might have a few projects in the works. Thankfully, he shared the few thoughts and photos below. 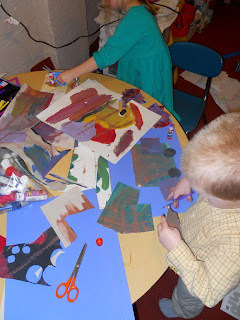 I found it amazing that he has time to work on so many projects while still spending his days as an assistant teacher in a Pre-K classroom for 4 and 5 year olds in Manhattan! 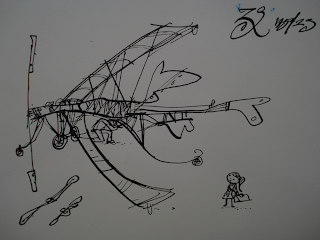 I am currently working on a book for Candlewick Press that is called Little Zephyr Takes Flight and it is all drawn with fountain pens. 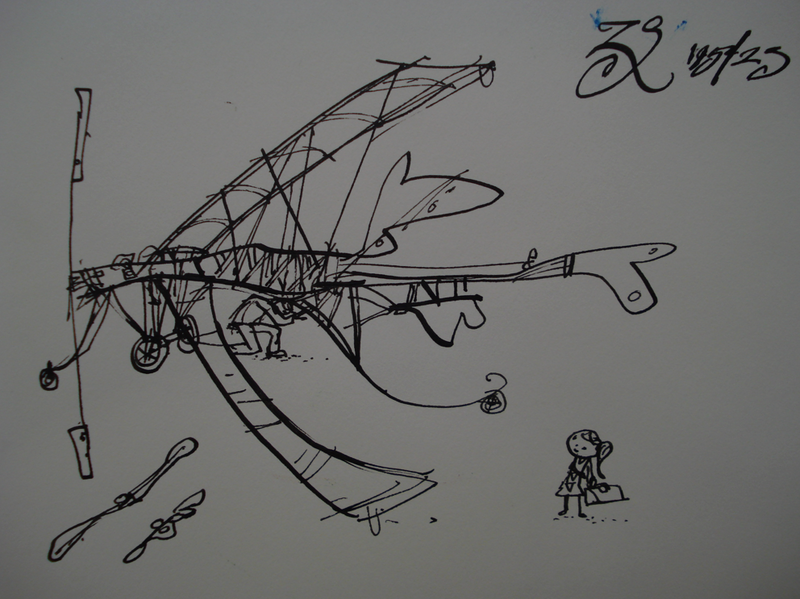 It is about a little girl who finds a flying machine and flies to a magical land. Pen and ink sketch - not in the final book but one of the sketches leading to it. My other book is "Trains Go" by Chronicle Books. 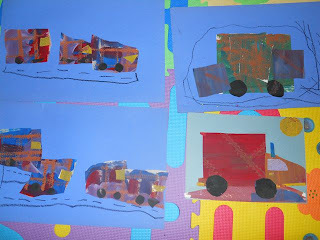 A follow up to Trucks Go -- that is done in watercolor with a brush and a stick that I carved to dip into ink and draw. Rapunzel Storybox opened and put together. 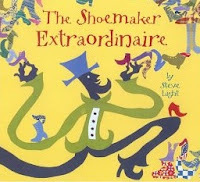 Our favorite book that we read by Steve Light was The Shoemaker Extraordinaire. This is a tale of Hans Crispin who makes "shoes that fit each customer just right." He makes them fit just right not because he measures the foot perfectly or uses the finest leather but because he identifies a need for each customer. A short man needs shoes to make him taller and a woman who has lots of dogs needs shoes that won't tire her out. The "shoemaker extraordinaire" is very successful which frustrates the local cobbler that makes ordinary shoes. 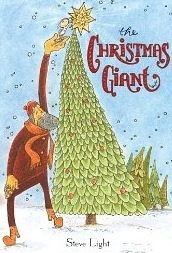 The ordinary cobbler devises a plan to trick Hans Crispin into approaching a hungry giant. 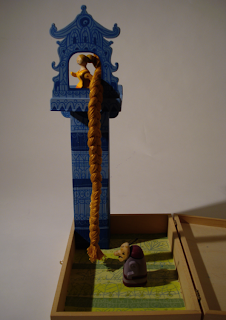 Crispin must identify what the giant needs more than a shoemaker for his breakfast meal to escape with his life. This was an awesome story with a great backstory that was provided in the "author's note". 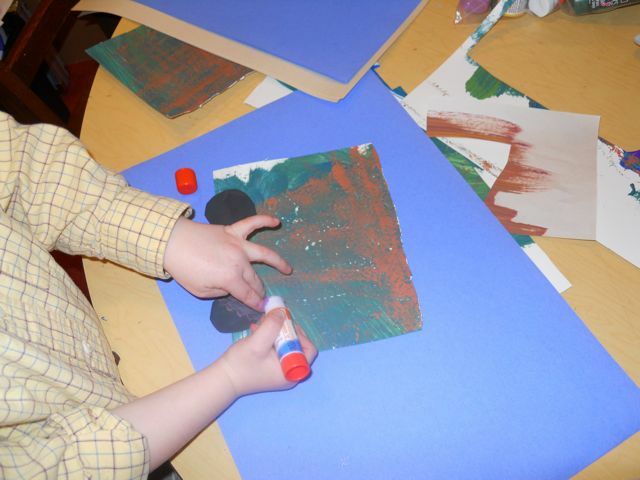 Light mentions that the painted papers used in the collage illustrations were imprinted with shoe prints. 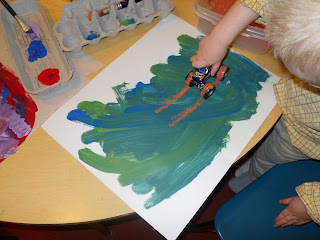 This idea came to him after paint was "stepped in and tracked across the floor" when working with students in the classroom. 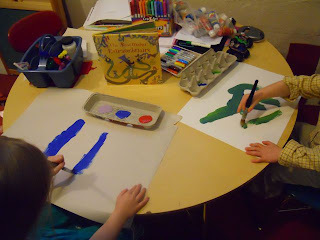 The shoe prints were observed by the students and inspired Light to hunt for shoes with unique soles whose print patterns could be incorporated into the book. I wanted to think of an imprinting activity that my son would really enjoy. I had the idea of using a toy truck to imprint tire tracks on painted paper that could be used to make a collage. Upon mentioning the activity to my daughter she said, "That's a boy activity!" Not surprisingly, she changed her mind once we started painting. We picked lots of fun colors to paint our paper. 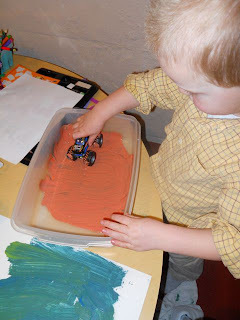 My son mixed the "mud" paint and ran his monster truck through it to cover the wheels. 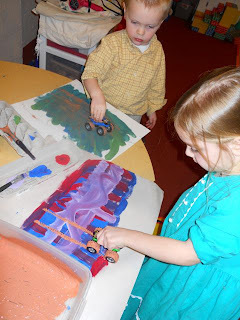 Here comes the fun part - make the tire tracks! My daughter created a pattern with her wheel tracks. My son about wore a hole in the paper he was so excited. 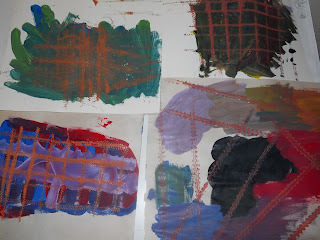 Our finished collage paper had to dry for some time. We used a hair dryer to speed up the process. Then we cut shapes and pieced together our collages. 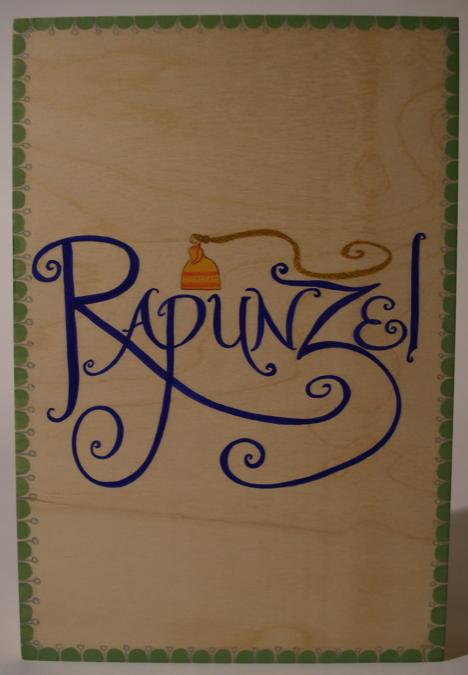 Steve, thank you so much for sharing your birthday tradition and your current projects. We had a great time reading your books this month! We hope you have a wonderful birthday and enjoy your new pen! I also have to thank my brother-in-law, Brian, for introducing me to the wonderful stories and artwork of Steve Light. 6. Steve Light's Easter Card ideas - Very Cool! WOW! what an AWESOME blog! authors deserve all the love they can get! i'm a new GFC follower! follow me?! Thank you for all the wonderful comments today!